In 2017 the Czech State Cinematography Fund divided 1,5 mil. EUR among projects that were majority Czech produced. 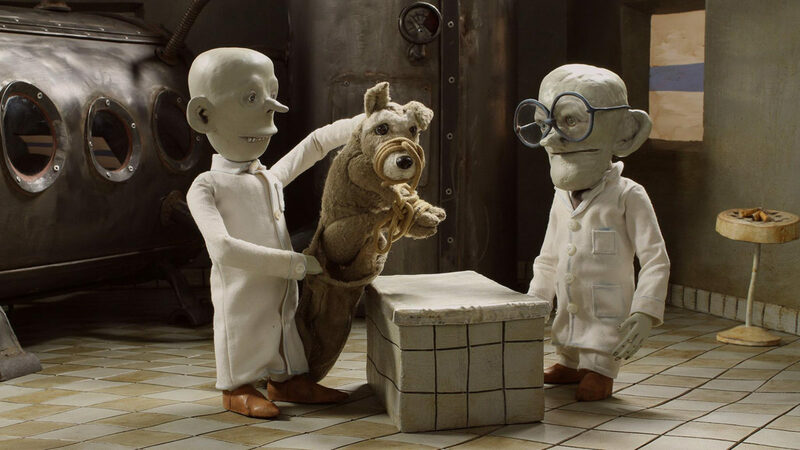 The largest sum ever given to support an animated project was granted to Michaela Pavlátová‘s feature length animated film My Sunny Maad (p. Negativ – Petr Oukropec and Kateřina Černá) based on the book Frišta by Petra Procházková. Budget: 2,3 mil. EUR, financial support: 700,000 EUR. Planned coproduction with Sacrebleau Productions – Ron Diens (FR). The second highest sum was granted to Living Large by Kristýna Dufková (p. Barletta Production – Veronika Sobolová) based on the book by Mikäel Ollivier. Budget: 1 mil. EUR, financial support: 300,000 EUR. The third highest sum was granted to the company Bionaut for Rosa and Dara. Budget: 1,2 mil. EUR, financial support: 300,000 EUR. Seven short animated films also received financial support ranging from 7,700 EUR to 77,000 EUR. The total of all the budgets of the projects asking for support is 8,3 mil. EUR. In 2017 two feature length animated film were released – Harvie and the Magic Museum (d. Martin Kotík and Inna Jevlannikova, CZ, RU, BE), budget: 6,4 mil. EUR, financial support: 346,000 EUR, and Lajka (d. by Aurel Klimt, p. Studio Zvon). Lajka recieved the Czech Lion Award for best stage design. Another considerable success was the acquisition of Galina Miklínová’s project The Oddsockeaters by the company Level K, coproduction: CZ, SK, HR. In February 2018 the Asociation of Czech Animation (ASAF) organized a seminar with focus on distribution. Participants acquired know-how with regard to current trends, challenges and opportunities in the distribution of animated works. Within the seminar, the unique catalogue Czech Animated Feature Films and TV Series 2018 was presented. Bachelor studies of animated work overlapping into new media. Atelier headed by Mgr. Denisa Jánská. Bachelor studies of an animated film, atelier headed by prof., academic painter Jiří Barta. Emphasis is put on mastering classical categories of drawning, cut-out and marionette animation. Department enables bachelor, magister and doctoral studies. Atelier headed by Mgr. Lukáš Gregor, Ph.D. Founded in the 60s of the last century by Adolf Hoffmeister and for many years headed by Miloslav Jágr. Today´s atelier head is MgA. Jakub Zich. Since 1990 the Department has ensured animated film studies in a three-year bachelor and two-year magister cycle. Today´s head of the atelier is Doc. Aurel Klimt. FAMO is a private selective faculty of art with bachelor and consequent magister studies. The studies can be VFX or SFX oriented, or o3D modelling, 3D animation as well as classical animation (drawn, marionette, painting on glass or cut-out and other kinds of animation). Atelier of animated film is headed by Mgr. Pavel Kubant. Animated work in Písek is designed in the form of a three-year technical college, its grads will gain professional knowledge and a title of DiS. First grade is common for all branches, students are taught history of art, music and film, psychology, and namely production technology of audiovisual work. School fee worth CZK 15 thousand per semester. Three-year daily studies finished with graduation. Branch is connected with applied and animation graphics, students will master 2D and 3D animation programmes. School fee worth CZK 5 thousand per year. Three-year education programme in daily form of studies with specialization on animated work, audiovisual work and interactive multimedia work. Monthly school fee worth CZK 3 – 5 thousand. Educational contents made by two basic parts: general education and professional one. Students will be introduced to creative work of animators and designers, will master basic artistic and graphic techniques and gain knowledge from drawn and marionette animation, will learn to understand basic principles of screenwriting , editing, will understand basic principles of animation and timing itself, will learn to work out animation in computer. In the course of studies students will proceed from simple composition and sketch exercises and gradually will get to concrete tasks from advertising graphics branch. They will master work with composition, paints and fonts. They will design logos, leaflets, posters, advertising objects or comics. They are taught basics and the ways of animation work-out in 3 – 4 hours per week. Atelier headed by MgA. Jiří Bosák. Four-year daily studies focused on development of artistic abilities where students will master practical animation skills, design making and computer graphics. Three-year educational programme in the form of a correspondence course specialised on animated work, audiovisual work and interactive multimedia work. Monthly school fee worth CZK 5 thousand. Ten-day course of classical animated film held in the Aero cinema in cooperation with cinemas Světozor and Bio Oko. The course is intended especially for beginners, price CZK 4 thous. Animania project has been held since 2006 in the so called Spring Sowing that includes long-term animation courses, animation workshops focused on concrete animation technologies, programmes for schools, accredited seminars for teachers and since 2011 also the so called Summer Ripening – thematic intensive animation training. Prices start from CZK 1,200. Theoretical and practical activities leading students through animation work itself. Price for the course – CZK 37 thous. for 300 lessons. Anomalia Project strives for exchange of experience from professional global animation and with film makers. Courses are intended to improve education and professionalism of authors and to maintain their position on competitive work labour market. Fifty-six hour course, character of a weekly school of graphic design is intended for teachers and students of artistic branches, further education of employees of graphic studies and for those who are interested to improve their knowledge. Price for the course – CZK 8,400. SPAFi holds a suburban daily camp Prague Film Holidays for children and youth between 12 and 18 years. Price of the course – CZK 10, 800 for 32 lessons. The festival is part of Animania project. It includes competitive show of animated films made by children and youth. Within the festival also workshops of animation techniques for public and accompanying programmes are held. The festival is held annually in early May in Třeboň. It gives a competition of short, student and feature films. The show is dedicated to broaden awareness of animation in cinematographic and media studies, and visual art context. Always in early December.